Clowns have been hired at hospitals in the province of Buenos Aires, Argentina’s largest province. This is because of a new law which was passed earlier this year in the province. The law states that public hospitals that offer pediatric services have to employ clowns to help treat children. 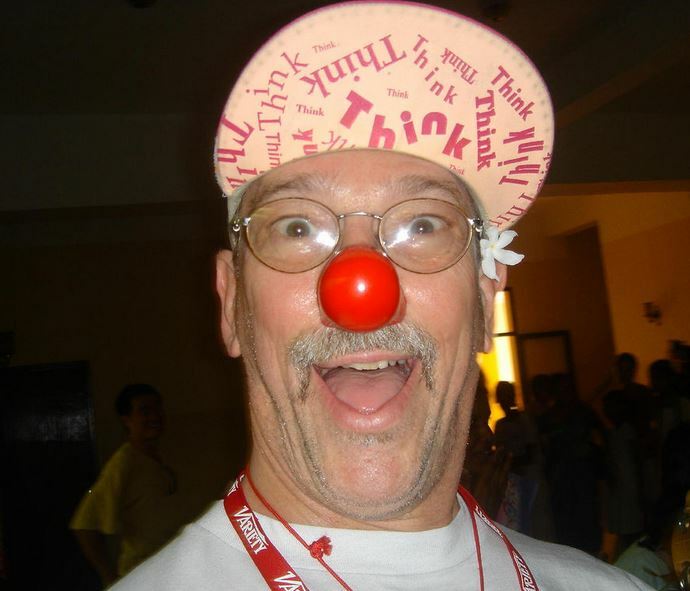 The law was inspired by the American doctor, Hunter “Patch” Adams (image). He promotes using laughter and joy in the treatment of people. He organizes clown trips to all parts of the world where his group visits hospitals, orphanages, refugee camps, homes for the elderly, and more. The 1998 American movie “Patch Adams” is based on his life. Here are some laughter quotes. Mark Twain (the American author): The human race has only one really effective weapon and that is laughter. Andrew Carnegie (the Scottish-American industrialist): There is little success where there is little laughter. Charlie Chaplin (the English comic actor and film director known for his silent films): A day without laughter is a day wasted. Here are a couple of funny scenes from Chaplin’s films.